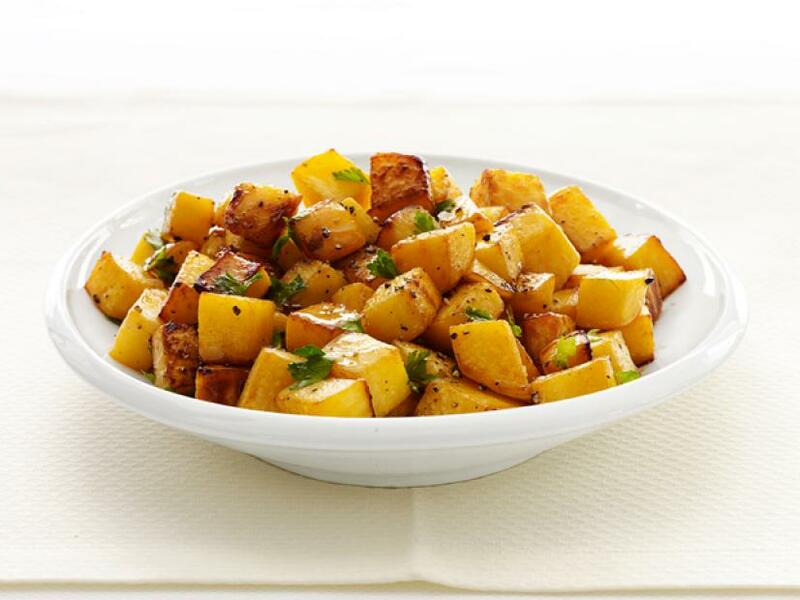 Toss 1 large peeled and cubed rutabaga with 3 tablespoons olive oil, and salt and pepper on a baking sheet. Roast at 425 degrees F until golden and soft, 40 minutes. Toss with 1/2 teaspoon apple cider vinegar and chopped parsley.